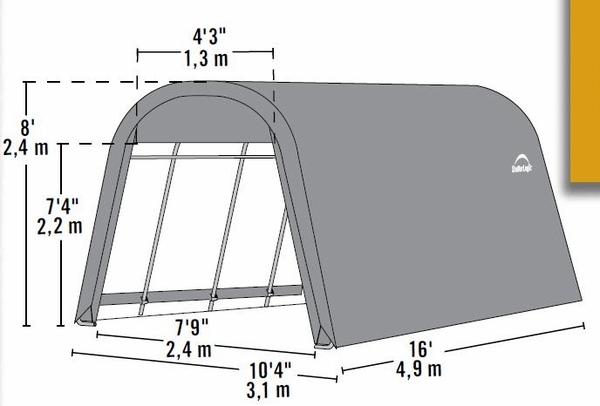 Round Style, heavy duty Portable Shelters by Shelter Logic are perfect for storing and protecting your valuable autos, trucks, yard equipment and other outdoor supplies. The all steel from features 1 5/8 inch steel. The cover is fitted polyethylene. The front door panels are sturdy double zippered. This stale structure is mounted with fifteen foot auger anchors. 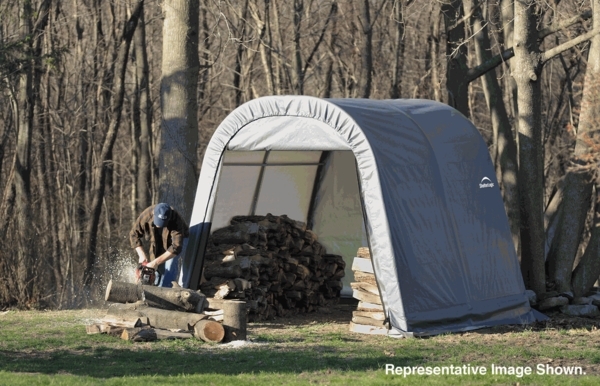 The set up is quick and easy if you follow the simple instruction that come with the portable structure.